Our List of Valentine's Day Activities for Kids in Westchester! After a particularly dull January (multiple kid events every day from Halloween to New Year’s, then…nothing! ), we’re excited for the Valentine’s-Day-to-Easter season to keep us busy until the weather warms up enough to resume our normal playground activity. A lot of places (mostly libraries!) are planning fun Vday events, so we’ve put them together in one easy list for you and your little cupid! Our Complete List of Local Events to Celebrate Valentine’s Day! Celebrate love and kindness with a personalized candy heart box. In this workshop, you and your child can build a heart shaped box for Valentine's Day perfect as a gift for someone you love or to stash all your super sweet Valentine's Day goodies and keepsakes. Once the heart is built, your child can customize it with paint and stickers. All Kids Workshop attendees must be accompanied by a parent or adult at all times. All kids get to keep their craft, receive a FREE certificate of achievement, a Workshop Apron, and a commemorative pin while supplies last. Registration required. They craft, you shop! Kids can enjoy creating a fox valentine. Sign up in store or online, or just drop in. Parent or guardian must remain on premises during the event. $2 for kids 3-5. $5 for kids 6 and up. Make your own Heart Garland using Recycled Books and Paper to decorate for Valentine's Day! Open to all ages. Registration required. LOVE-ly frame. Bring your little one to create a cute picture frame together! Hand or footprint decorations will be incorporated. Finished product will make a great decoration or Valentines Day gift for a family member or friend. $32 per painter. Ages 0-5 with caregiver. Stories and a simple craft for children age 4 through first grade. Registration begins January 23. Drop in and get creative with Valentine's Day crafting fun; for kids of all ages. Caregivers remain at the table with children under seven. They craft, you shop! Kids 3 and up can enjoy making a Valentine's frame. Sign up in store or online, or just drop in. Parent or guardian must remain on premises during the event. $2 for kids 3-5. $5 for kids 6 and up. Artists will show a lot of love in a little way by making the world's smallest Valentine's day card! $25, 40% sibling discount. Ages 3-9. We will be crafting sweet treats for our dolls made out of felt and other craft materials for Valentine’s Day. Come show your doll how much you love them! Each girl will also receive a new doll-sized apron, wooden spoon and oven mitt to decorate. All supplies included. For girls ages 6 and up. $15. Please join us for a special Victorian Tea at the Horace Greeley House on Saturday, February 9th, with seating availability at 11 am and 1 pm. The afternoon will include Victorian tea, snacks, crafts, and a tour! Recommended for ages 6–12. Drop in to create a craft for FREE. Ages 3 and up. No reservations necessary. Ready for a blast from the past? Classic Valentines, friendship bracelets, hair wraps, and so many more fun crafts are waiting to be made at our Bestie Bash. Bring your kiddos (and their besties! ), and spend some time together craftin' up a storm at this super cool KidX event. Join us as we read Pete The Cat: Valentine's Day Is Cool. After the story we will make a craft. All ages welcome. Free. Registration required. Join Paul Mordoff for a Valentine's Day-themed comedy show! Paul is also a master at making balloons! Refreshments to be served! Paint a beautiful, cookie as instructed by Nora herself. $25 per person. Join us for a bear-y special Valentine's Day event with Build-A-Bear Workshop, by creating your own friend! There will be a selection of bears and clothing accessories to choose from. Registration required. $10. Ages 2 to 5. Please arrive fifteen minutes prior to the event for sign-in at the door. Make a valentine for someone special. Limited registration. Please call 914-337-1500x306 to register. Create a beaded name heart or a card for Valentine's Day! Ages 4-11 (younger than 5 with caregiver). Registration required. Join us for some of our favorite love stories and then we will do conversation heart experiments and explore the viscosity of liquids in our raining hearts experiment. Ages 3 to 4. Ticket required. Make candy airplanes, bling rings & candy heart bird feeders. Open to all ages. Free and no registration required. Join us for this special Valentine's day themed slimy event that starts off with 1hr in our two giant bounce stadiums followed by 45 minutes for light snacks and Heart shaped Slime Making. All kids get to leave with their slimy creations. $19.95 per child. Parents are free. Reservations are required. Happy Valentine’s Day! Join us for a heart-filled storytime followed by a squishy sensory valentine craft. Ages 5 to 7. Online registration required. Themed stories followed by a craft project or a themed craft project for children ages 3 and up. Come celebrate Valentine's Day & make a heartfelt craft for that special someone in your life! Preschoolers. Enjoy a snack, read a book and have fun with science experiments using leftover candy hearts. Registration required. That's it for this week! I hope you have a great Valentine's Day! Thinking about summer programs? Read our tips on how to find the perfect camp! For more events and musings, follow us on Facebook and Instagram. 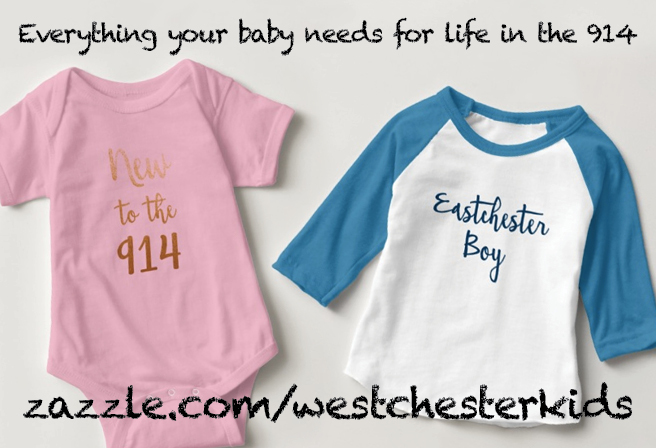 And if you like what you're reading, please sign up for our once-weekly email of events and ideas in the wonderful world of Westchester parenting.